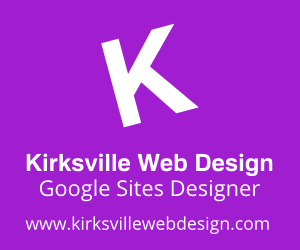 We reached a new goal in the Google Apps Marketplace as +Kirksville Web Design . We are the most reviewed, highly rated Google Sites designer on the entire Marketplace. As our title mentions, we have 85 positive reviews for our design services using just Google Sites. Will Use Again by Ismael Amado with Flagship Inc.
Kirksville Web Design was able to help us realize our goal of using google sites as a replacement for our aging sharepoint system. The designs were clean, elegant, and easy to use. Will not hesitate to engage Kyle and his team again if/when the need arises. Really happy with the service provided by the Kirksville team. Managed to achieve all of our desired outcomes in a very prompt time frame and as a sign of what a globalised world we live in the fact that we're based on opposite sides of the world wasn't a problem! Thank you for supporting us as the Best Google Sites Designer!